In a trend piece two months ago that caused much snickering on the internet, the New York Times wrote that creative New Yorkers are peacing out and heading west to Los Angeles, which the article heralded as a “bohemian paradise.” Even before that piece, David Byrne and Moby had given their reasons why New York is losing its status as a “cultural capital” and becoming increasingly infertile for creativity. But a new report that closely examines New York City’s creative sector argues otherwise, providing recent statistics suggesting that Gotham’s still got it as the nation’s cultural center, and that its arts sector has actually been thriving for the past decade. Titled “Creative New York,” the 68-page report was written by Adam Forman of the Center for an Urban Future and draws its conclusions from not only census data, various surveys, and research reports, but also conversations with over 150 creative professionals, government officials, donors to the arts, and others. 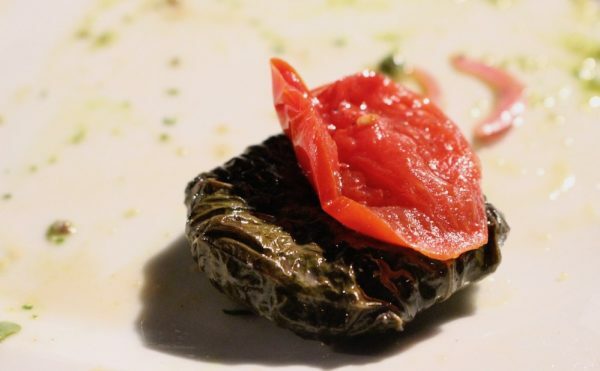 (Full disclosure: Hyperallergic’s editor-in-chief Hrag Vartanian was among those interviewed.) 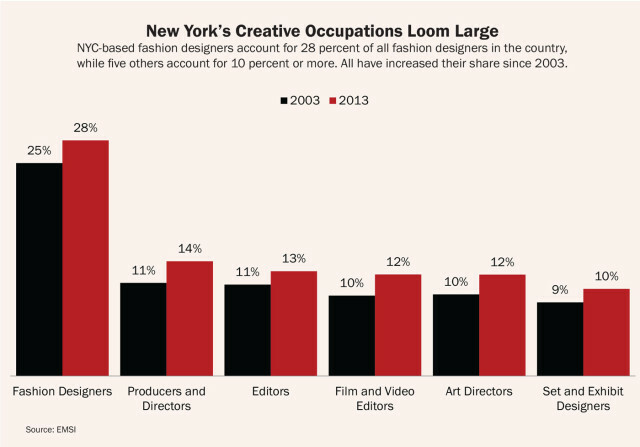 In 2013, the study notes, 8.6% of the nation’s creative workforce was based in New York City, a jump from 7.1% in 2003. 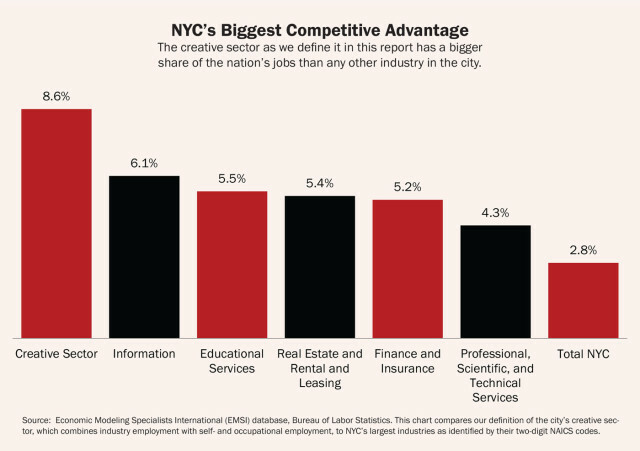 This increased share, impressive considering that the city accounts for 3% of all jobs in the US, also signals New York’s replacement of LA as the country’s largest site of creative business employment. 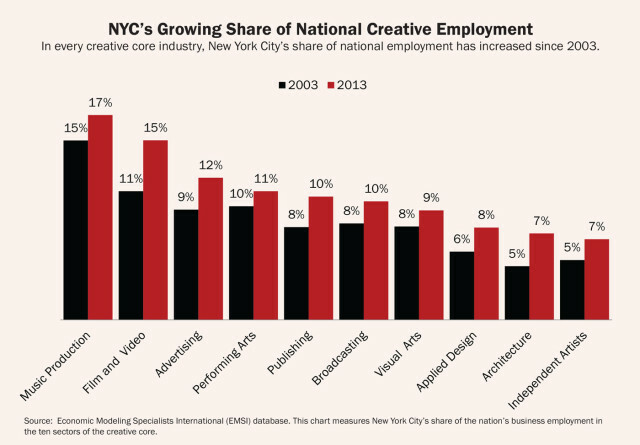 Furthermore, every industry in New York City’s creative sector — defined in the report as individuals, commercial, and nonprofit businesses “involved in all stages of the creative process, from conception through production to presentation” — increased in share of national employment between 2003 and 2013. 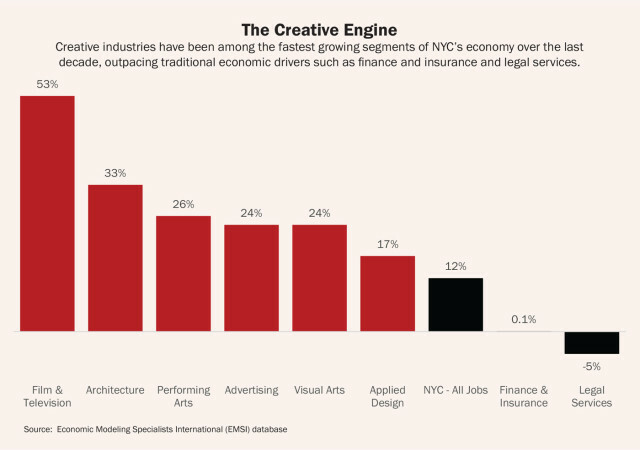 In fact, New York’s creative sector outpaced not only those of its rival cities but also the more traditional sectors of its own economy: over the last decade, the city’s creative workforce as a whole reflected a greater growth than employment in its finance, insurance, legal, and real estate sectors. 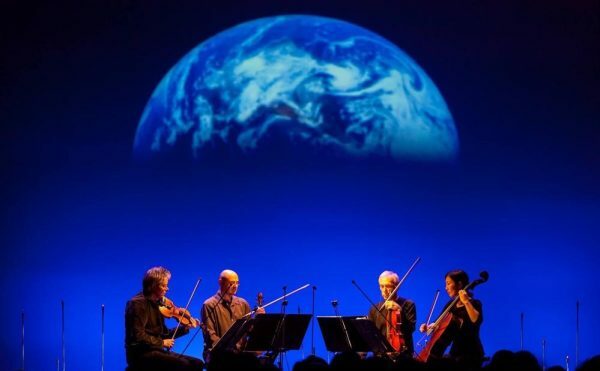 Paralleling this growth is the proliferation and expansion of sites to enjoy art; according to the report, the number of art and cultural festivals has skyrocketed, exemplified by NYCxDesign’s 2012 debut and the New York Philharmonic’s first biennial last year. New York City is also home to more arts-related nonprofits than any other US city, and theaters and museums have witnessed major expansions, too (for instance, the new Whitney Museum). In terms of smaller art businesses, the number of galleries city-wide jumped as well: between 2004 and 2015, the total number rose from 1,138 to 1,384 — although 310 have also shuttered since 2011. The study does emphasize that continued growth is not guaranteed. 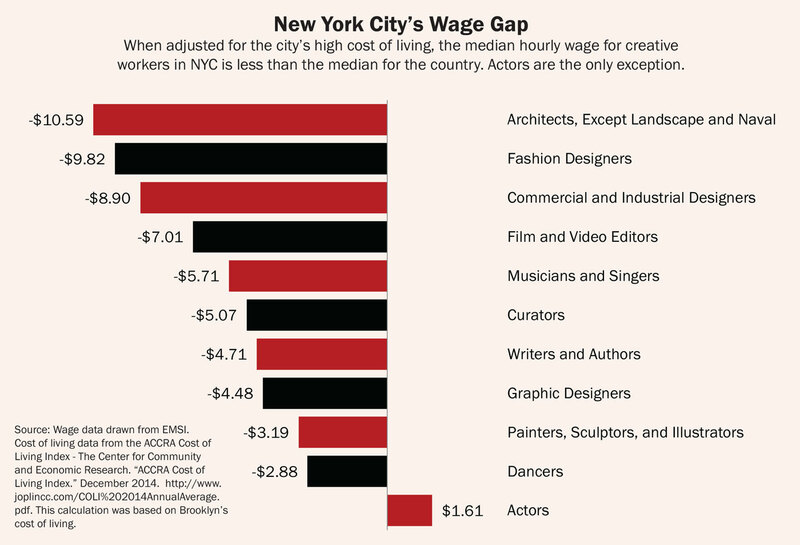 In their essays, Byrne and Moby both cursed New York primarily for its ever-worsening economic inequality, and affordability is obviously a major factor in sustaining a thriving arts hub. 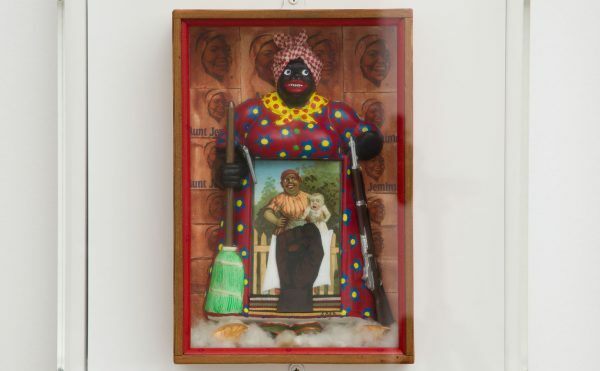 As “Creative New York” attests, working and living in the city is “crushingly expensive,” and taking a closer look at the shifting gallery numbers in terms of geographic distribution makes this clear. While the total number in the five boroughs rose, Manhattan witnessed an overall decrease in galleries. 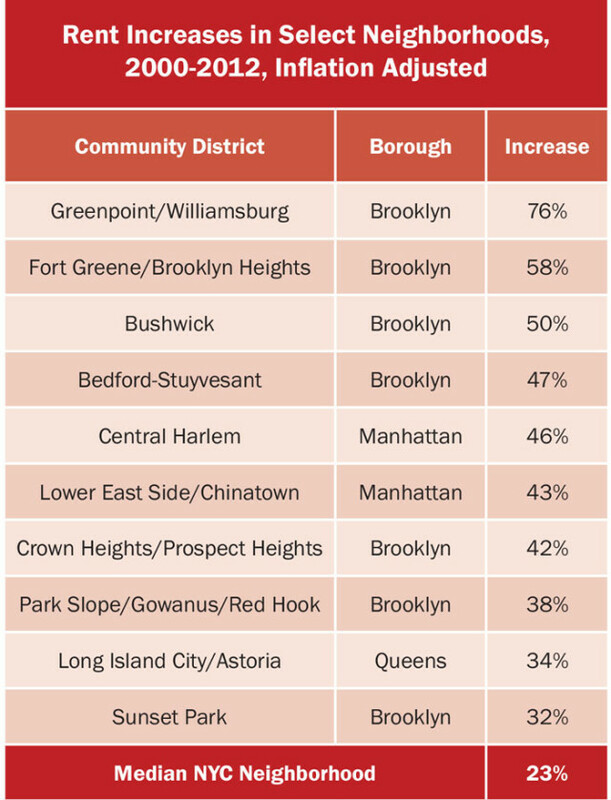 Some spaces relocated within the borough, which sheds some light on affordability by neighborhood: 20% and 43% drops in West Chelsea and Soho spaces, respectively, were mirrored by a 147% increase in the Lower East Side. “Retail prices ten years ago would have been $12 to $25 per square foot,” real estate agent Anne-Brigitte Sirois says in the report. “Chelsea is now out of reach for 90% of established galleries in NYC.” Looking eastward to Brooklyn, the number of galleries there has soared since 2004 from 95 to 248, primarily in Bushwick, Dumbo, and Greenpoint. 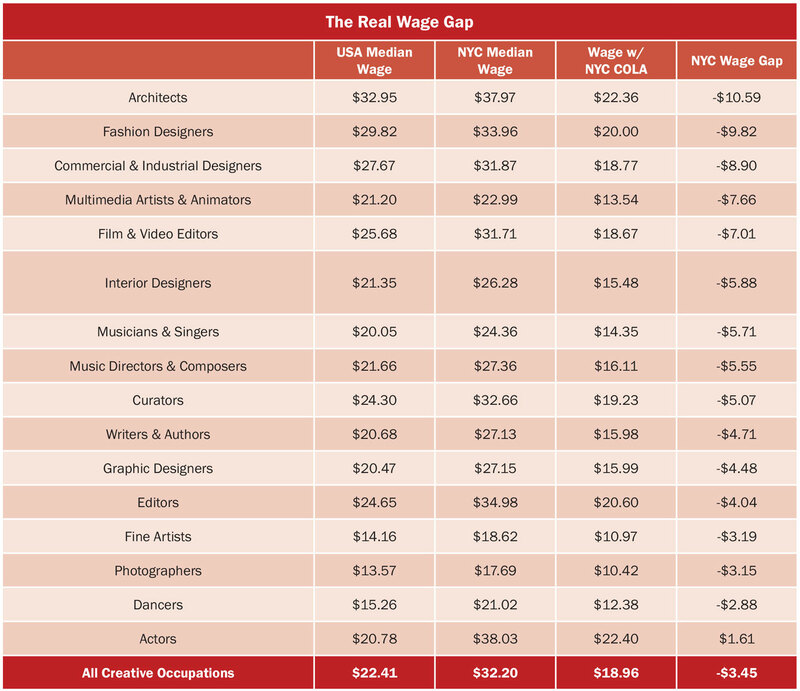 Wage-wise, the situation seems encouraging at the surface, with New York’s creative workers earning 44% more than the national average. However, once the study factors in the cost of living in the Big Apple, the median hourly wage is actually 15% less than the national average. 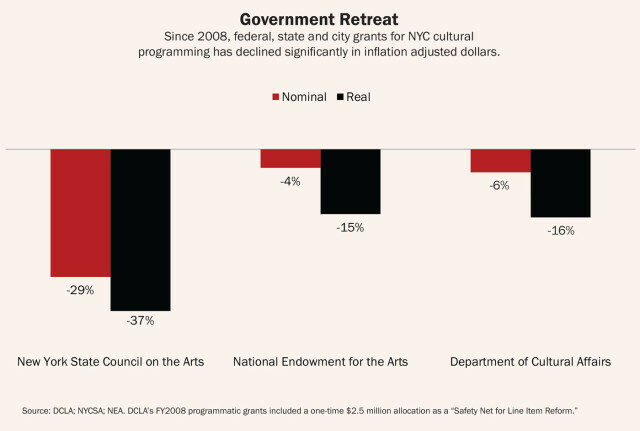 Sources of revenue such as government funding help artists realize their projects, but they are reportedly in decline: support from the New York State Council on the Arts, for example, fell from $30 million in 2008 to $21 million this year. On the other hand, individual philanthropy is on the rise, and an impressive 36% of Manhattan households donate to creative endeavors. Additionally, crowd-funding efforts are playing increasingly significant roles, especially in New York City. Interestingly, the report states that in “every creative field, New York City-based Kickstarter projects were more successful at reaching their fundraising goal than those based in other places around the world.” (Another fun fact: there are more Etsy sellers in New York City than yellow cab drivers.) 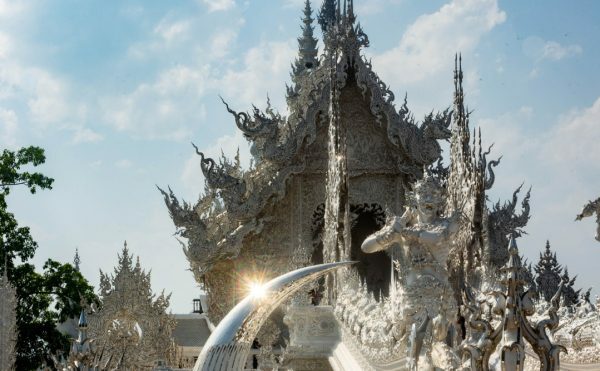 More and more, artists have also formed collectives and created shared spaces as ways to reduce costs. Eyebeam, Pioneer Works, and the Con Artist Collective are just a few of the creative collaborations to emerge in recent years, the study notes. To improve the state of the arts in the city, Mayor Bill de Blasio has announced various initiatives since taking office, which “Creative New York” does mention. However, as the report points out, there is much more to be done. The last section of the study provides more than 20 comprehensive recommendations for the de Blasio administration to help tackle the challenges outlined in the previous pages. These include calls for even more affordable living and working spaces with fewer bureaucratic hurdles during application processes; an outline of possible sources of government funding to support cultural programs and organizations; and suggestions to ensure that the creative sector is all-inclusive and fair to immigrant, low-income, and youth or student communities. As “Creative New York” shows, the arts sector is one of the city’s most valuable assets; why not work toward sustaining its vitality so that New York remains, as Byrne still believed in 2013, “the most stimulating and exciting place in the world to live and work”?